For this black Audi A6 sedan, I actually went out to his location in Newport Beach / Orange County to do some vinyl work on his vehicle. The owner originally requested to simply have the front grill wrapped in matte black. However, after blacking out he front grill, he also decided if I was able to black out the chrome on top of the door handles and also the chrome window trim. I didn't take pictures of the window trim, since the car was in the garage. 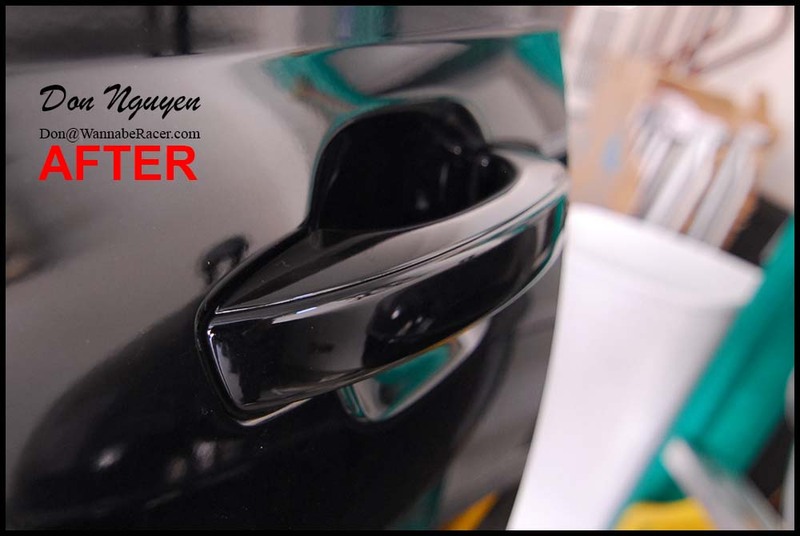 However, I did take pictures of the door handles, showing the before and after.